At a recent forum, the experts of the South China Morning post said that Hong Kong is rolling out the mat to welcome a new generation of innovative and fearless entrepreneurs as the city plans to create dynamic ecosystem for start-ups with the current boom of Angular JS market. They also made several explanations regarding the various reasons for the city to be optimistic about embracing this popular language, therefore setting up the stage for new opportunities and chains of growth for the talented and deserving Web developers of the booming tech city Hong Kong. Angular JS Training Course in Hong Kong, at Zeolearn will teach you all the essentials about Angular and you will be able to develop applications positively benefiting your organization. The ultimate solution for front-end development is Angular JS. Angular JS is one easy-to-learn language with its open user interface and enables one to develop robust apps for any scale project. Majority of its popularity is its capability to make static web pages more dynamic so as to allow web designers to add more tools. 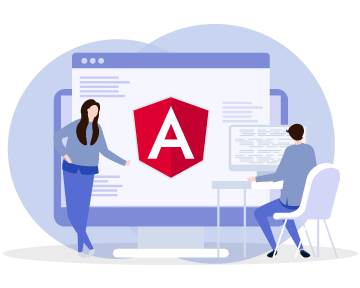 Countless organizations are reaping the benefits of adopting this dynamic framework which has created huge demand for Angular JS experts. This course is ideally designed for Web developers, Software geeks, IT managers as well as for technical entrepreneurs and students with an interest and flair for technology.